I recently made one of my favorite kinds of discoveries. I uncovered a currently little-known pianist by the name of Makiko Hirabayashi. She was born in Tokyo, grew up in Japan and Hong Kong, spent time studying in Boston, and has lived in Copenhagen over the past few years. Her melodious work sometimes reminds me of the universe of Sophia Domancich, a pianist whose work I know particularly well because I had the opportunity to work at her side a few years ago as her talent and tour manager. Makiko Hirabayashi explores a lot of terrain thanks to her skilled touch and an inner energy that is out of the ordinary: is this perhaps what true freedom looks like? 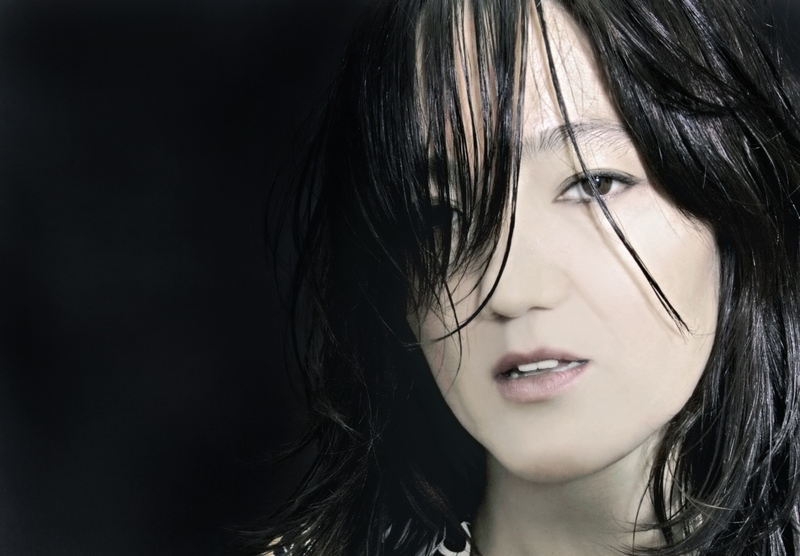 Makiko is a cosmopolitan artist whose tones reflect her multifaceted background: sounds reminiscent of the East, inspiration drawn from classical repertoires, Nordic resonances that remind us that her new place of residence is also an element in this delightful chemistry. This mixture is an integral part of her proposed new definition of jazz as a multicultural music, the product of living in a world that is a village. Very quickly you realize that her music is not easy to place. She reveals an inner universe that is millions of miles away from easy clichés or exotic stereotypes. Her approach sometimes harkens back to Youn Sun Nah, in terms of the way in which she energizes her music. Even if her work is currently, and unfortunately, categorized under the heading of “miscellaneous jazz,” Makiko Hirabayashi creates a universe that is both inspired and inspiring, demanding yet generous. If you make the time to lose yourself in an exploration of the worlds she creates, you will be rewarded by a luscious Garden of Eden glowing with emotional sensitivity. Far from using trendy artifice, a technique that sometimes deprives us of what matters most in music, Makiko presents us with the rarest of gifts: music as an expression of a person’s inner landscape. She recorded her most recent album, “Surely” (Yellow Bird record – January 2014) as part of a trio with Klavs Hovman on the double bass and Marilyn Mazur playing percussion. This entry was posted on 14/03/2014 by Aublanc in Coup de coeur, Music and tagged Hirabayashi, Makiko Hirabayashi.